The 10 Best Greek Restaurants in Massachusetts! Whether it’s Spanakopita, Souvlaki or Baklava you crave, you’ll want to visit a Greek restaurant to indulge in it. Sure, you could make it yourself, but it’s never quite the same. Check out one of the following Greek restaurants in Massachusetts and enjoy an authentic experience. Serving up authentic Greek dishes using fresh ingredients, Greek Corner is the perfect place to indulge your craving. Eat in the dining room or order meals to go. Authentic Greek dishes line the menu at Kava Neo-Taverna, with the ingredients in some coming straight from Greece. The bar is stocked with an ample selection of Greek wine and spirits, too. Family owned and operated, the Greek Grille features lots of secret family recipes—some that go back more than 80 years. Dine in or take your food to go. Serving authentic Greek foods made from local ingredients when possible, Saloniki Greek pays homage to simple Greek sandwich shops. In addition to excellent food, the staff practices “filoxenia,” which is legendary Greek hospitality. 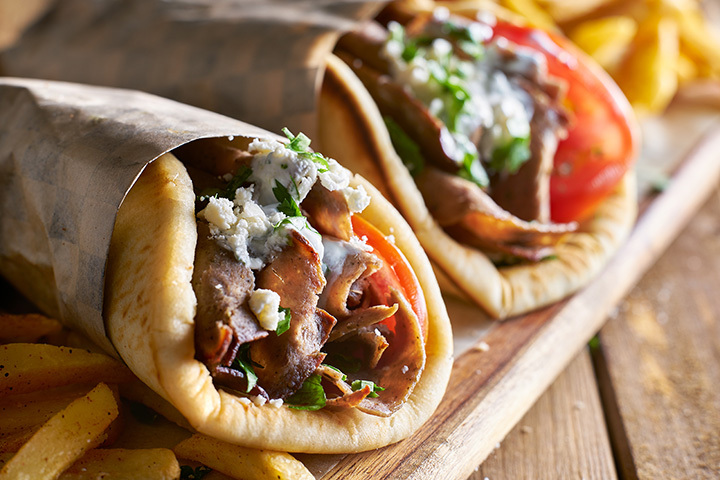 Enjoy kabobs, a gyro, baklava and more at the Feisty Greek. Order at the counter and wait for a real treat. The family recipes translate into some good eating! Sit down and prepare to be treated to something good at Demos Restaurant. Not only is the food amazing, the hospitality is, too. Enjoy a full dinner or something lighter for lunch. Call ahead and take your meal to go if you prefer. You’ll be immersed in traditional Greek culture when you dine at Desfina Restaurant. From the art on the walls to the food you select, you’ll be treated to an authentic taste of Greece. Their moussaka is the best! Whether you stop in for a meal or some of their delicious desserts, you’ll enjoy it all at Esperia Grill. Voted Best Greek Restaurant by Best of Boston for three years in a row, they won these honors for their amazing food and exceptional service. Their Greek wedding cookies are the best. Reminiscent of Greek-style diners, The Arlington Diner serves hearty meals for breakfast, lunch and dinner. The formica-topped tables lend themselves to the tradition. You’ll think you’ve died and gone back to 1970 with the décor and the portion sizes. Order several delicious Greek options to share with the table and some cocktails, too, at Meze Greek Tapas Bar & Grille. The new take on traditional Greek fare is a real treat.